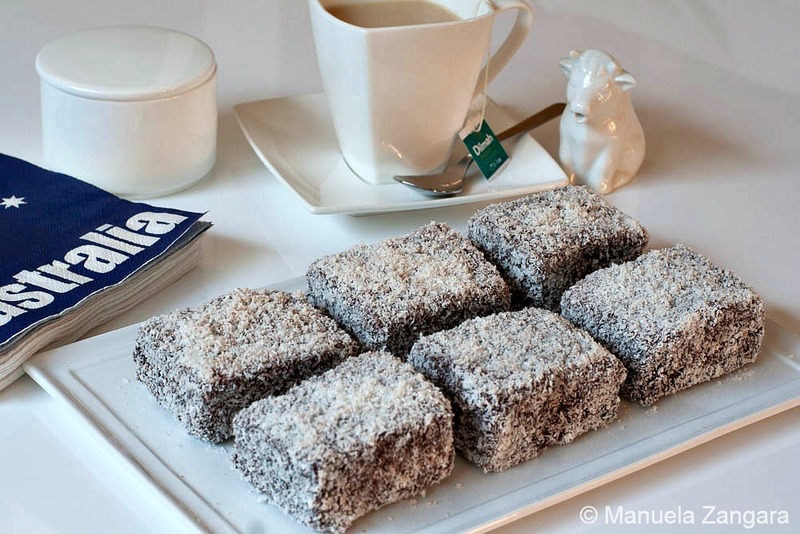 Lamingtons are squares or rectangles of sponge cake, dipped in chocolate icing and coated witn desiccated coconut. They are another iconic Australian food and I served them with tea for my “Come have some Aussie tucker, mate!” party. I had never made them before but was very happy I did as they were so much better than store bought ones. You can also use store bought sponge cake though, as the cake needs to be made the day before and then make your own icing. They are quick and easy to make and if you like coconut and chocolate, you cannot give them a miss. You can also halve them and sandwich them with whipped cream and/or raspberry or strawberry jam. They are a great tea time treat! Enjoy! Sift the combined flours together into a large bowl. Do this for 3 times. Whisk the eggs with an electric beater until thick and pale. Add the sugar 1 tbsp at a time, whisking well after each addition until the sugar dissolves. Sift the combined flours over the egg mixture and add the boiling water. Gently mix with a hand whisker until just combined. Brush your pan with melted butter and line the base and sides with baking paper, allowing it to overhang slightly. Pour the mixture into the pan and smooth it with the back of a spoon. Bake in a preheated oven at 160°C until a skewer inserted into the centre comes out clean. NOTE: the original recipe said to cook it for 20 minutes, but mine took 1 hour as I used a slightly different pan! So be sure to check it. Turn the cake onto a wire rack, cover it with a clean tea towel and set aside overnight to cool down completely. 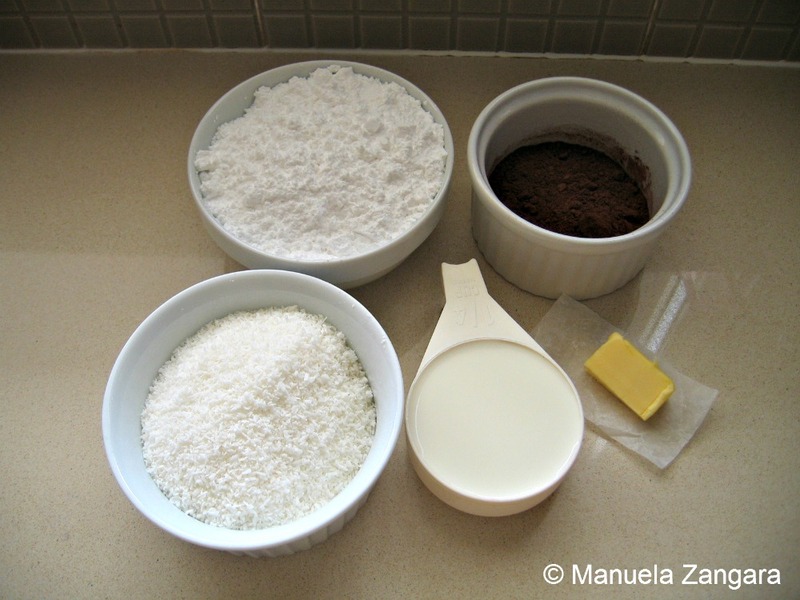 To make the chocolate icing, sift the icing sugar mixture and cocoa powder into a bowl. Add the milk and butter and stir. Put the bowl over a simmering saucepan (in a double boiler) and stir until the butter melts and you have a smooth icing. Keep it aside. Trim the edges of the cake and cut it into 15 squares/rectangles. Put the dessicated coconut in a plate. 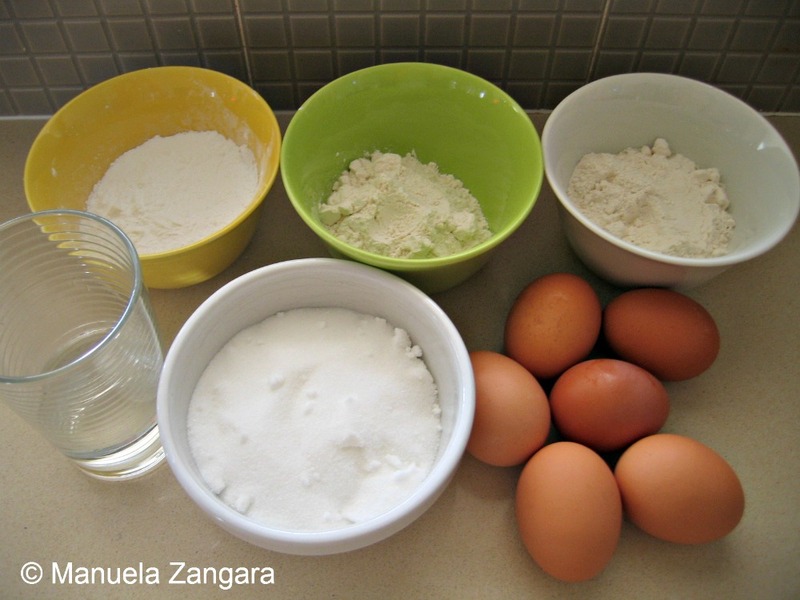 Use 2 forks to dip 1 cake square into the warm icing to coat it and allow any excess icing to drip off. 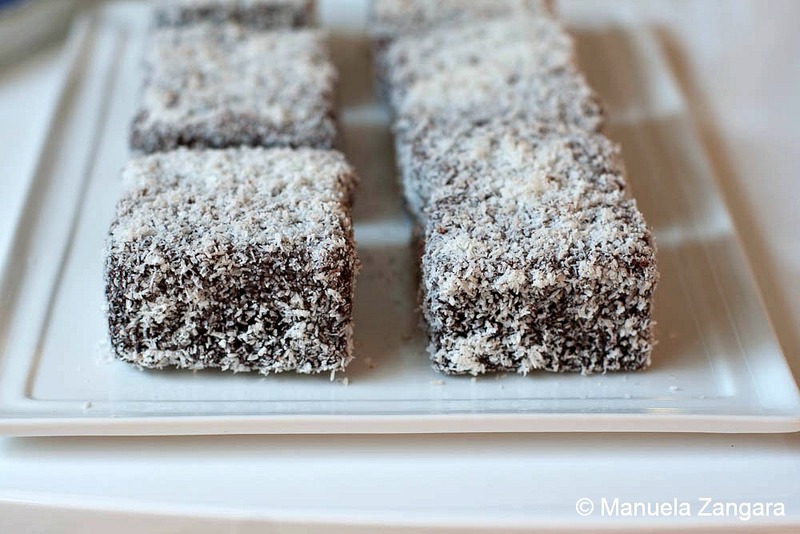 Then put the lamington in the plate with the coconut and coat it well using your fingers, then place it on a wire rack and set aside for at least 1 hour or until the icing sets. Enjoy with a hot cuppa! Oooh, I’ve heard of these! I looove coconut, so I’m dying to try these! 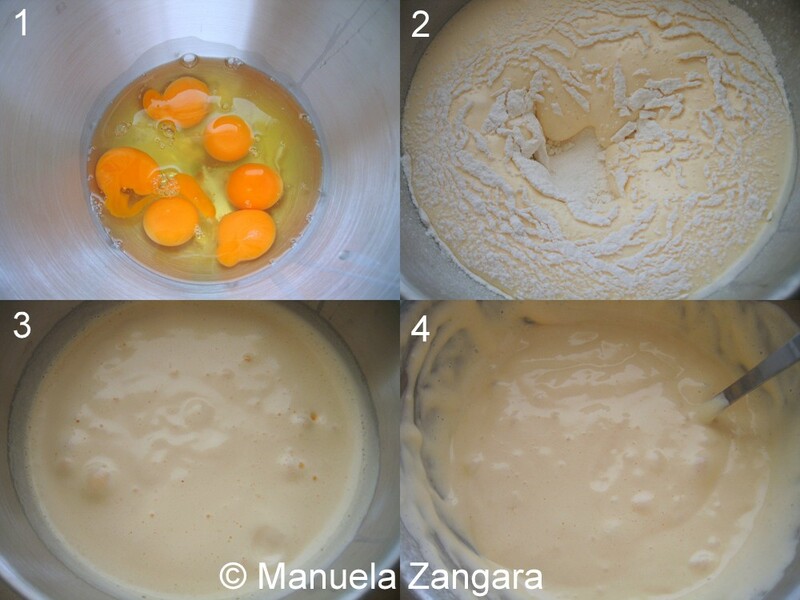 Manu, this recipe is fantastic. Mu husband doesn’t like coconut, so maybe I can combine some with it and some with another kind of cover, like, pecans for example, what do you think? I never heard of this before but it looks super tempting Manu! Manu, these looks so pretty….first time I heard/saw these was couple of days back on some blog & in these two days this is the third post I’m seeing…..may be the sign I should make these….thanks for sharing. These look wonderful. I love coconut and I can’t wait to try this recipe out! All you have to say is “wrapped in chocolate” and I’m there! These look delicious! Wow, I’m flattered you used the icing recipe on my blog. 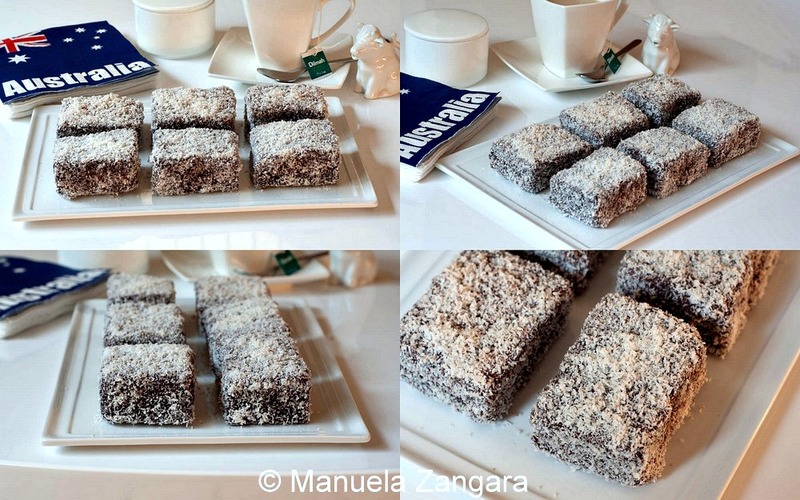 Truth be told, it is the Australian Women’s Weekly lamington icing recipe. And THANKYOU for using dessicated coconut. Gotta be dessicated, I’m a traditionalist.